As in the previous two weeks, episode 3 of the Cardfight!! 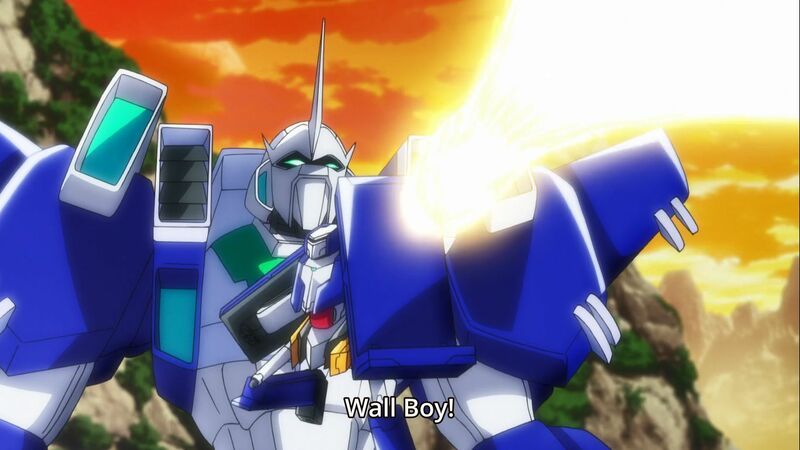 Vanguard "Origin" anime series was light on card reveals, but nonetheless teased one card we haven't seen leaked: Wall Boy, a remake of the clan's Heal Trigger from the manga and Extra Booster 1: Comic Style Vol. 1. 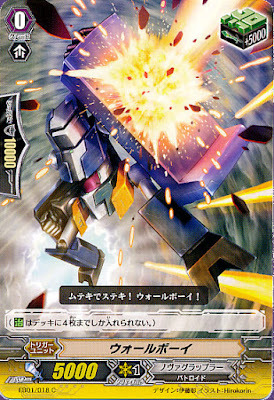 The card was not shown clearly, but Kamui guarded a Stardrive Dragon-Margal column (23000) with it while on Hi-powered Raizer Custom (9000) and it later appeared as a grade 0 in his discard pile. The specific marking is obscured by his deck, but the yellow border at the bottom is a dead giveaway that this is a new trigger unit. If the resolution were higher it would be possible to confirm the type by its shield value, but for now we'll have to run with the assumption it's a Heal. Wall Boy's Comic Style print from the original game.